The number of billionaires has reached a record high of 1,426 with a net worth $5.4 trillion, says Forbes. The United States has more billionaires than any other country. 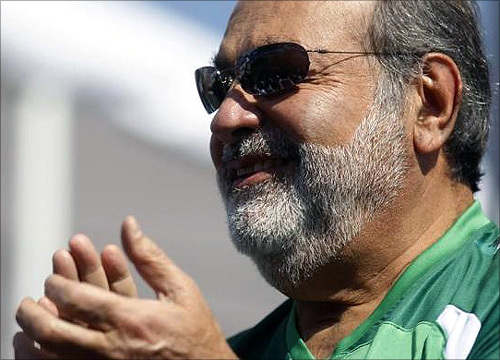 Carlos Slim Helu is a Mexican business tycoon, investor, and philanthropist. Slim has been ranked by Forbes as the richest person in the world since 2010. Presently, he is the chairman and chief executive of telecommunications companies Telmex and America Movil. 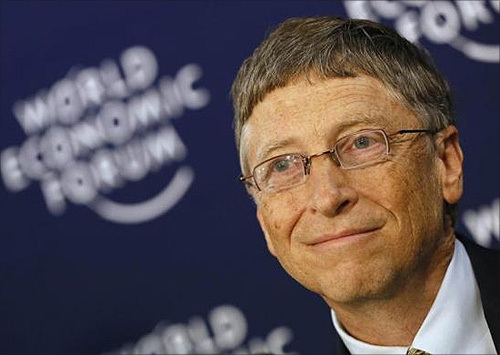 Bill Gates is the former chief executive and current chairman of Microsoft, one of the world's biggest software companies, which he co-founded with Paul Allen. He is consistently ranked among the world's wealthiest people. Image: Microsoft founder and philanthropist Bill Gates addresses delegates during the annual meeting of WEF in Davos. Amancio Ortega Gaona is a Spanish fashion executive and founding chairman of the Inditex fashion group, best known for its chain of Zara clothing and accessories retail shops. 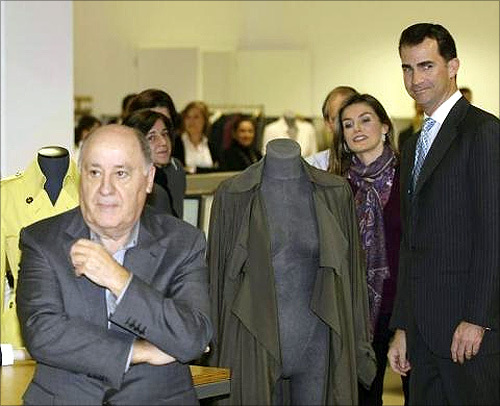 Image: Spain's Princess Letizia and Crown Prince Felipe (R) stand next to chairman of Spanish global fashion group Inditex, Amancio Ortega (L), during a visit to an Inditex factory in Coruna, northern Spain. Warren Edward Buffett is an American business magnate, investor, and philanthropist. Considered one of the most successful investors, Buffett is the primary shareholder, chairman and CEO of Berkshire Hathaway. 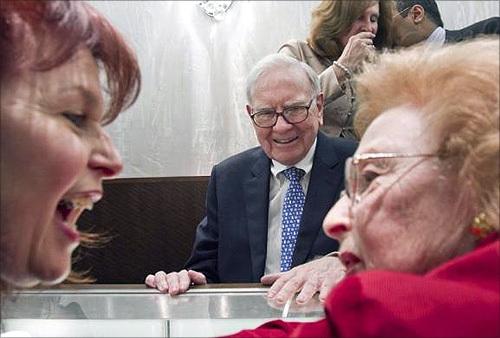 Image: illionaire investor Warren Buffett (C), chairman and CEO of Berkshire Hathaway, smiles as Cheryl Stich (L), and her mother Dione Kempinsky, both of Los Angeles, react to the price he quoted them on a ring at Borsheims jewelry store in Omaha, Nebraska. 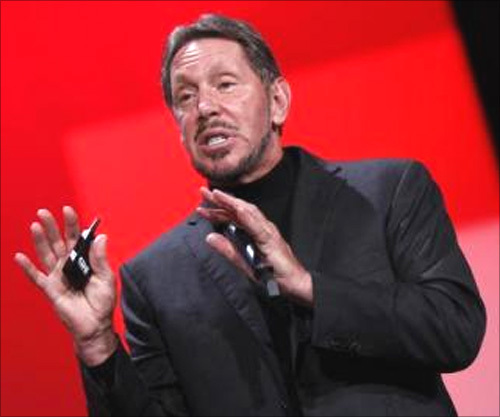 Larry Ellison is the co-founder and chief executive of Oracle Corporation, one of the world's leading enterprise software companies. Image: Oracle Chief Executive Larry Ellison delivers his keynote address at Oracle Open World in San Francisco. 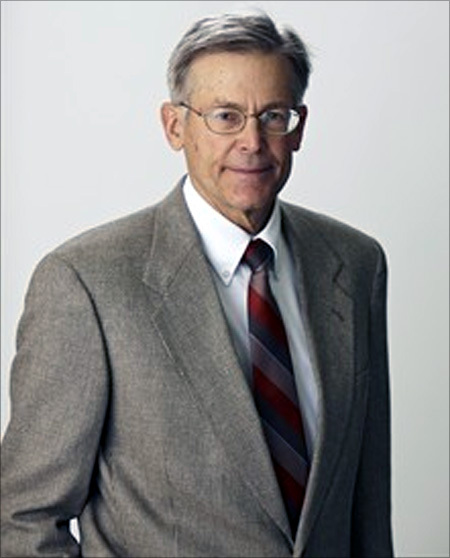 David Hamilton Koch is an American businessman, philanthropist, political activist, and chemical engineer. He is a co-owner (with older brother Charles) and an executive vice president of Koch Industries, a conglomerate that is the second-largest privately held company in the United States. 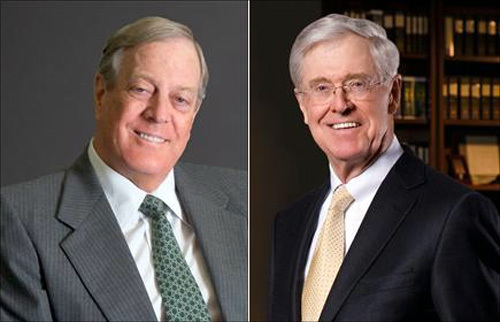 Image: Charles, left, and David Koch, right. 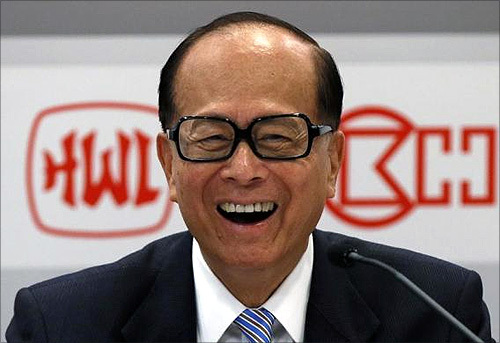 Li Ka-shing is considered to be the richest person in Asia. Presently, he is the chairman of Hutchison Whampoa Limited (HWL) and Cheung Kong Holdings. Image: Hong Kong tycoon Li Ka-shing attends a news conference. Liliane Henriette is one of the principal shareholders of L'Oreal. 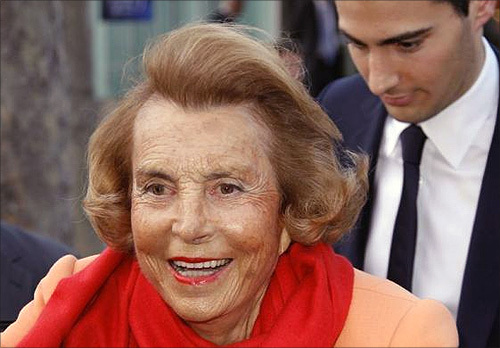 Image: Liliane Bettencourt (L), heiress to the L'Oreal fortune leaves with Jean-Victor Meyers, her grandson, the L'Oreal-UNESCO prize for women in Paris. 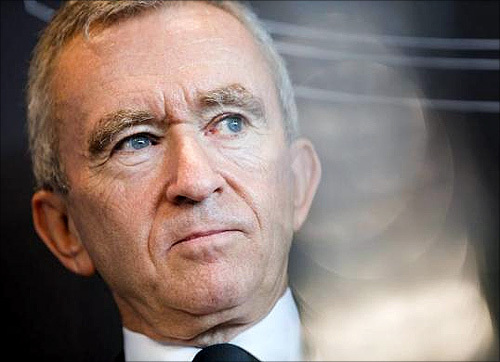 Image: LVMH Moet Hennessy Louis Vuitton chairman and CEO Bernard Arnault. 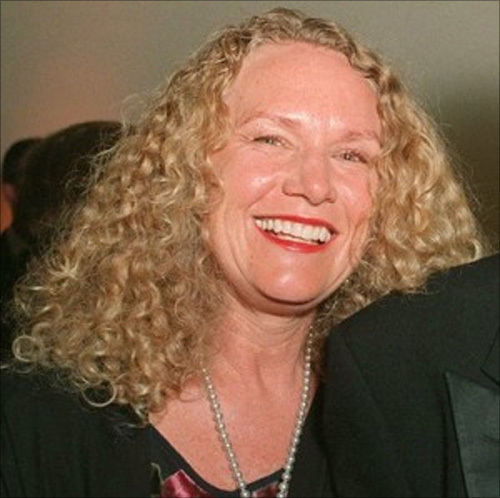 Christy Walton, the widow of John Walton, inherited her wealth from her husband after he died in an airplane accident in Wyoming 2005. 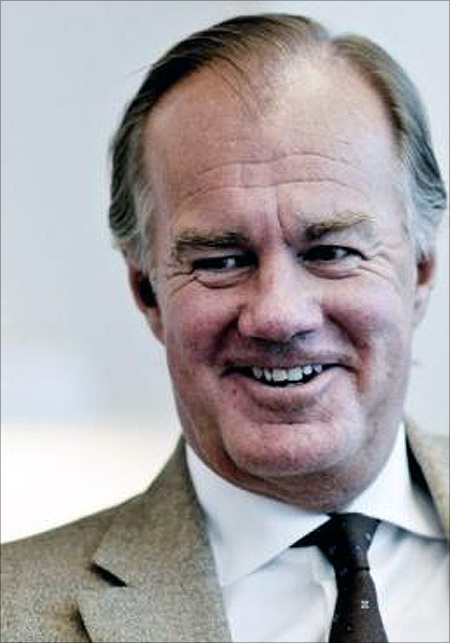 Stefan Persson is current chairman and main shareholder in fashion company H&M, which was founded by his father Erling Persson in 1947. Stefan took over the company in 1982 and served as its chief executive officer until 1998. Image: Stefan Persson, chairman of Hennes and Mauritz, is seen in Stockholm. 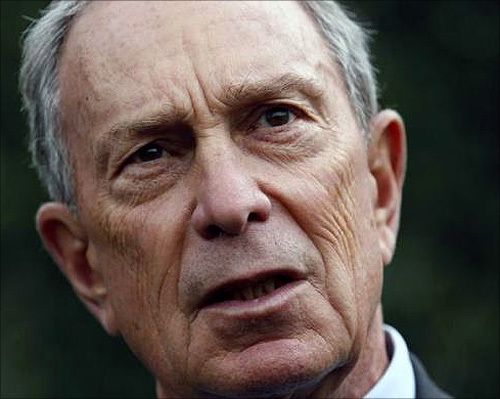 Michael Rubens Bloomberg, the current Mayor of New York City is also the 7th-richest person in the United States. He is the founder of Bloomberg, global financial data and media company. Image: New York Mayor Michael Bloomberg. James Carr Walton is the youngest son of Wal-Mart founder Sam Walton and the Chairman of Arvest Bank. Sheldon Gary Adelson, an American business magnate is the chairman and chief executive officer of the Las Vegas Sands Corporation, the parent company of Venetian Macao Limited which operates The Venetian Resort Hotel Casino and the Sands Expo and Convention Centre. 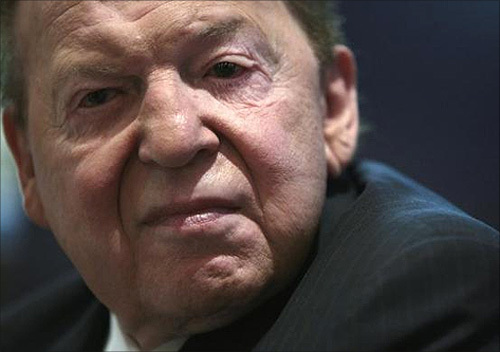 Image: Chief Executive Officer of Las Vegas Sands Corp Sheldon Adelson. Alice Walton is an American heiress to the fortune of Wal-Mart Stores, Inc. She is the daughter of Wal-Mart founder Sam Walton and Helen Walton. 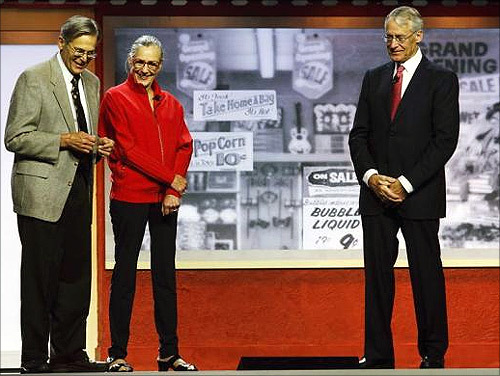 Image: Jim Walton (L), Alice Walton, and Rob Walton speak during the annual Wal-Mart shareholders' meeting in Fayetteville, Arkansas. 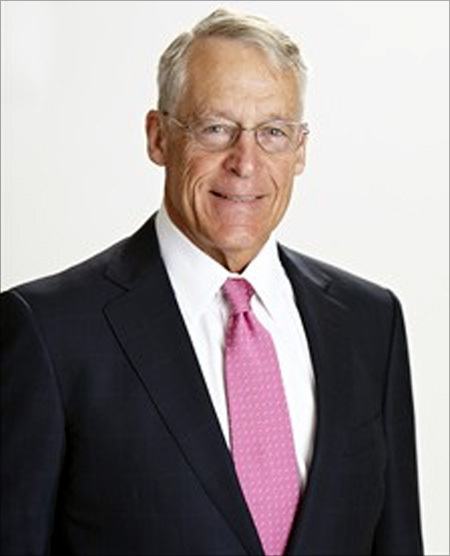 Robson Walton is the eldest son of Sam Walton, founder of Walmart, the world's largest retailer. Karl Albrecht, Germany's richest man, owns discount-supermarket giant Aldi Sud. Jeff Bezos played a key role in the growth of e-commerce as the founder and CEO of Amazon.com, Inc., an online merchant of books and later of a wide variety of products. 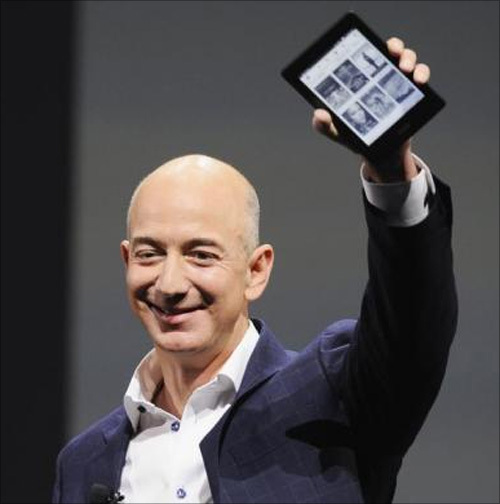 Image: mazon CEO Jeff Bezos holds up a Kindle Paperwhite during Amazon's Kindle Fire event in Santa Monica, California. Larry Page along with Sergey Brin co-founded Google. 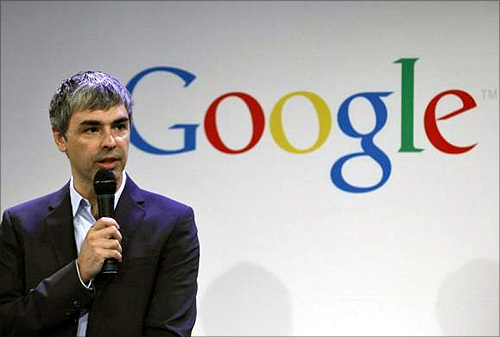 On April 4, 2011, he took over as the chief executive officer of Google. Sergey Brin co-founded Google, one of the most profitable Internet companies. 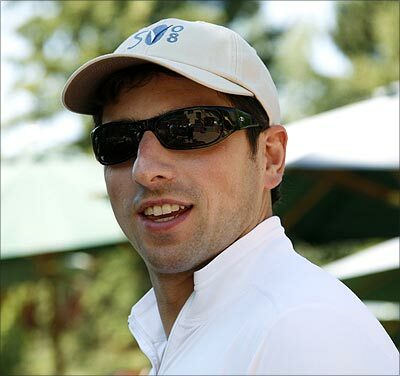 Image: Google co-founder Sergey Brin. 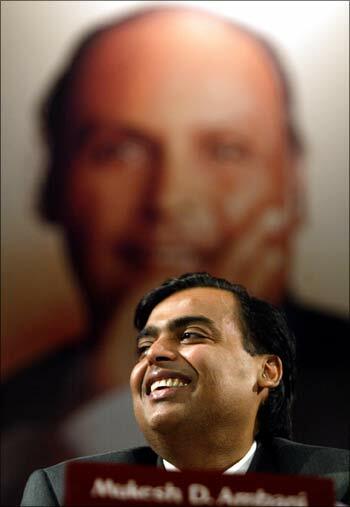 India's richest man, Mukesh Ambani is the chairman and CEO of the Indian conglomerate Reliance Industries. 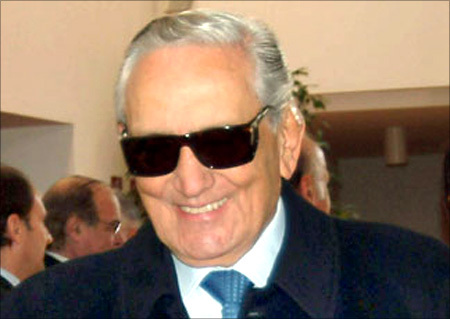 Michele Ferrero, the owner of chocolate maker Ferrero SpA, is Italy's richest person. Lee Shau Kee is a real estate tycoon and majority owner of Henderson Land Development, a property conglomerate with interests in properties, hotels, restaurants and internet services. 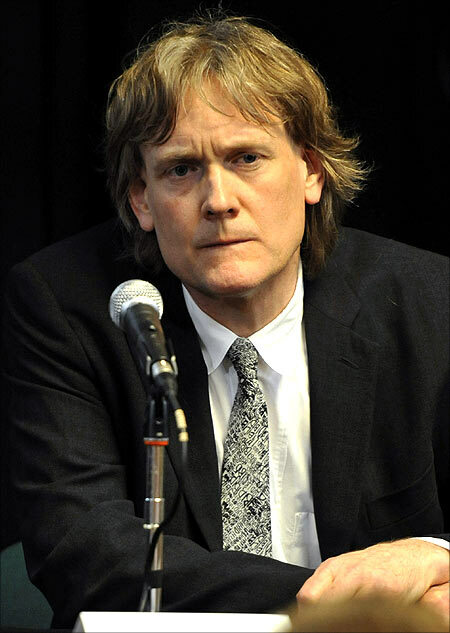 David Thomson, Canadian media magnate is the chairman of Thomson Reuters. Carl Icahn is an American business magnate and majority shareholder of Icahn Enterprises, a diversified holding company. Raymond Kwok Ping Luen is the joint-chairman and managing director of Sun Hung Kai Properties, the largest property developer in Hong Kong. He is the youngest son of Kwok Tak Seng, and younger brother Thomas Kwok, another joint-chairman of Sun Hung Kai Properties. The Kwok brothers are the third wealthiest people in Hong Kong. Image: Saudi Prince Alwaleed Bin Talal Bin Abdul Aziz Alsaud (C) walks with his wife Princess Amira (L). Dieter Schwarz is a German entrepreneur and owner of the Schwarz-Gruppe. 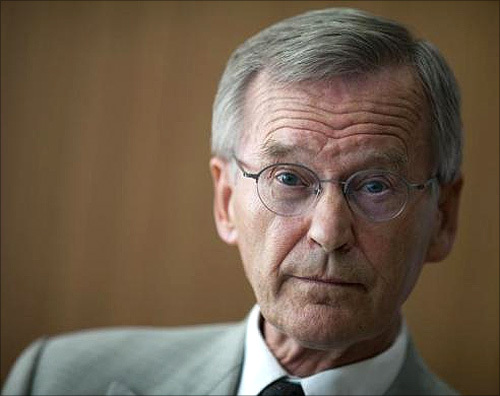 He is the chairman and CEO of supermarket chain Lidl, which he inherited from his father, Josef Schwarz, in 1977. 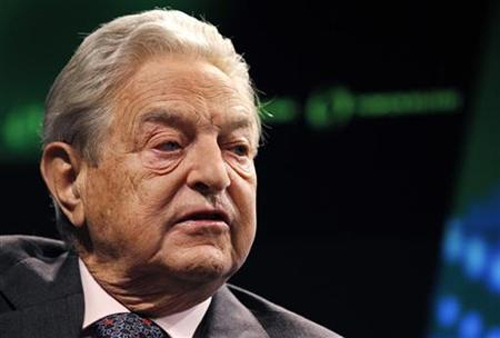 George Soros is a Hungarian-American business magnate, investor, and philanthropist. He is the chairman of Soros Fund Management.